Here is a little instruction-based performance for anyone that wants it, based on a piece I created for the Forest Fringe Microfestival in China. 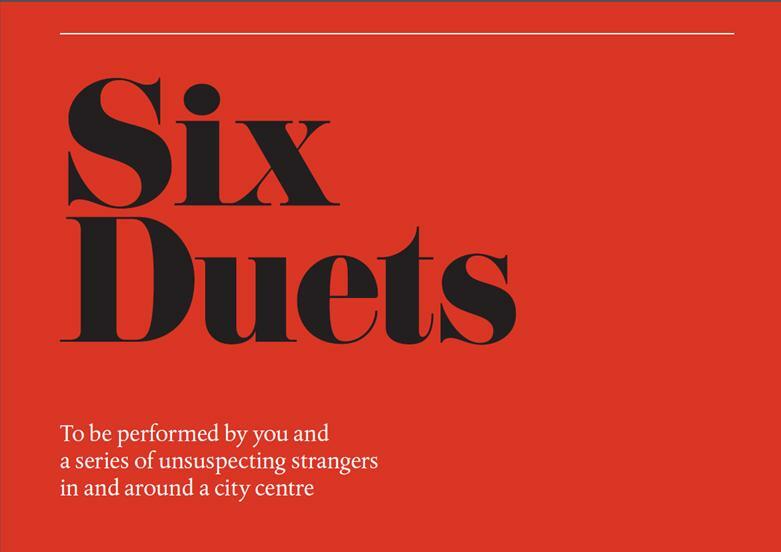 It is six short duets to be performed by you and a stranger in a busy city centre. You can download it as a PDF e-book here. And a printable PDF is downloadable here. I hope you enjoy it. If you do, please do share it.